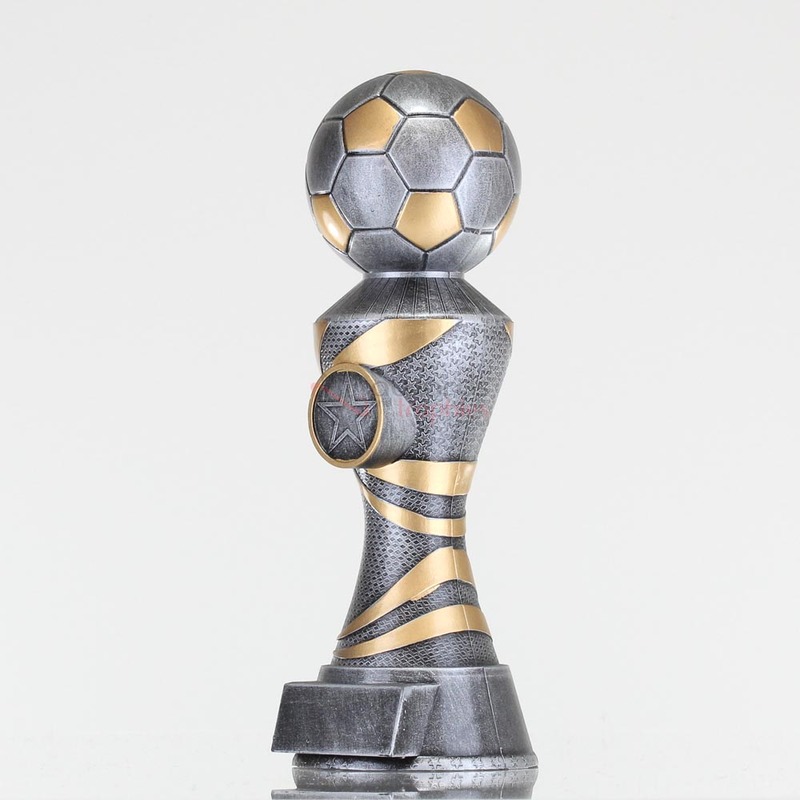 Celebrate a feat of endurance with this fantastic soccer trophy! 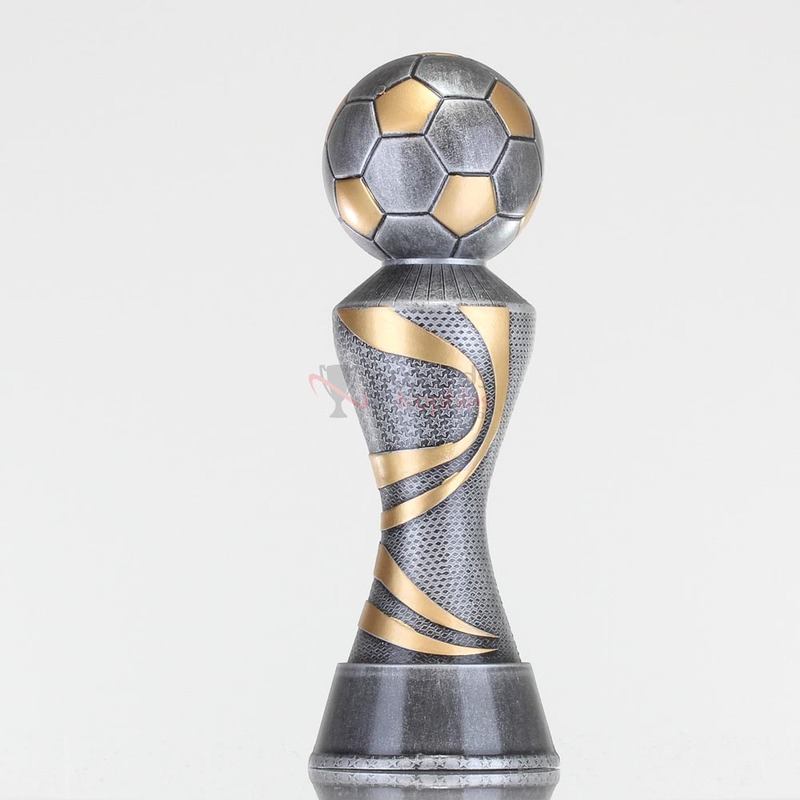 An antique silver football sits atop a gold and silver abstract carved column. 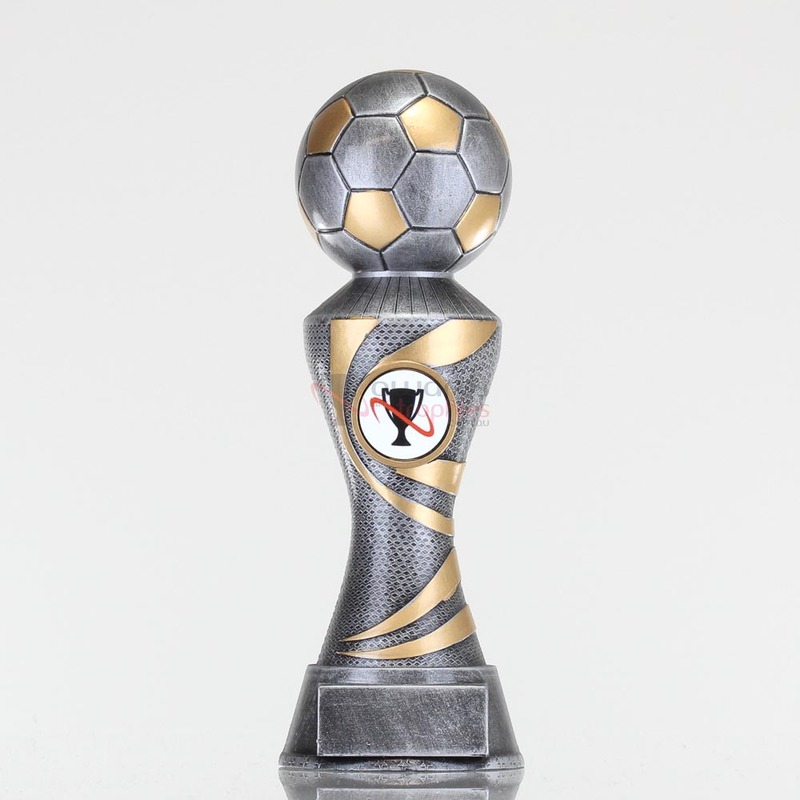 This extra-durable sporting resin would be great to award for Most Improved, Most Valuable Player, or as a participation award for everyone on the team!